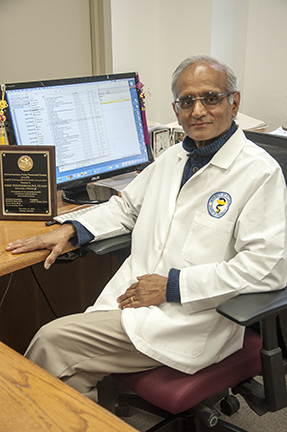 Professor Raman Venkataramanan, PhD has been awarded two United Health Care sponsored research projects. In the first project, Venkataramanan, working with Dr. Abhi Humar, Director of the STI, is evaluating the effect of treprostinil in preventing ischemia and reperfusion mediated injury to liver grafts from cadaveric donors. Venkataramanan also received a second sponsored project from United Therapeutics Corporation to build a physiologically based pharmacokinetic model for treprostinil, a drug already in use in the treatment of pulmonary arterial hypertension. The computational model will be used to improve patient care by predicting dosing regimen of treprostinil in patients by accounting for factors affecting dosing such as drug-drug interactions and patients disease states.